The economic crisis is taking a significant toll on Maryland hospitals, causing their finances to slide to unprecedented low levels during the final quarter of 2008. Maryland hospitals' total margins dropped to negative 13.5 percent between October 1 and December 31, 2008, compared to 2.2 percent during the same time in 2007. The situation in Maryland is far worse than for hospitals nationwide, where the deficit for total margins was negative 7.8 percent for the final three months of 2008. Thirty-four Maryland hospitals sustained overall losses during that three-month period totaling $466 million, according to a new financial analysis by the Maryland Hospital Association. The economic crisis is taking a significant toll on Maryland hospitals, causing their finances to slide to unprecedented low levels during the final quarter of 2008. Maryland hospitals' total margins dropped to negative 13.5 percent between October 1 and December 31, 2008, compared to 2.2 percent during the same time in 2007. Hospitals' total margins had already fallen to a negative 2.5 percent in the quarter ending September 30, 2008. Total margins measure the overall financial condition of Maryland's hospitals, which are almost exclusively not-for-profit facilities. "At the very time when the economy is forcing more Marylanders to turn to hospitals for their only source of health care, the economy is crippling Maryland hospitals' ability to meet the growing demand," Carmela Coyle, MHA President and CEO, said. "That means hospitals have significantly less money to hire new staff, invest in new services and programs or technology, to upgrade buildings, or to help physicians." The situation in Maryland is far worse than for hospitals nationwide, where the deficit for total margins was negative 7.8 percent for the final three months of 2008. 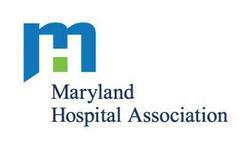 Thirty-four Maryland hospitals sustained overall losses during that three-month period totaling $466 million, according to a new financial analysis by the Maryland Hospital Association. Most of hospitals' losses resulted from increases in interest rates, losses on returns, and other increases in costs needed to provide financing to upgrade or expand programs and to underwrite the costs of new technology. Operating margins--which measure financial performance in providing care--while dropping, did not fall as precipitously. Overall operating margins in the fourth quarter of 2008 were 1.5 percent--down from 2.4 percent in the quarter ending September 30. That is well below the rate-setting commission's target of 2.75 percent and below the 1.8 percent operating margins for hospitals nationwide for the quarter ending December 31. The losses Maryland hospitals face are forcing them to limit their purchases of new technology and equipment, and to delay upgrades in information technology according to a new MHA survey. Hospitals also report adopting, or considering, hiring freezes and staff reductions; eliminating vacant positions; and cutting administrative spending, including educational and meeting expenses. In addition, hospitals report the losses have led to a significant increase in hospitals' pension liability costs. Furthermore, the survey found the economy is forcing more and more physicians to approach hospitals for financial support, ranging from widespread requests for hospital employment to nearly universal requests for pay increases to provide services to hospitals. In 2008 hospitals provided $210 million in support to physicians. "With a physician shortage particularly intense in inner city Baltimore and rural parts of the state, financial support for doctors is vital to assure access to care in these areas," Coyle said. "Hospitals are the bedrocks of our communities, both as providers of health care to all who need assistance and as the economic engines for our communities," Coyle added. "Anything that weakens our hospitals poses a threat to the economy of Maryland and the well-being of our state." MHA is the advocate for Maryland hospitals, health systems, and their patients before legislative and regulatory bodies. Its membership is comprised of community and teaching hospitals, health systems, specialty hospitals, veterans hospitals, and long-term care facilities. For more information, visit MHA's Web site.